DCRC leadership (and to an extent all our members) should be very excited about a new effort by the board, committees and others within the organization to develop a road map for our future. We are working on a strategic plan for DCRC. In the next week or two, you will receive a survey that will be a key part of the strategic plan being written for DCRC. The survey will take you about 10 minutes and we will use your answers to help drive the DCRC bus down the road over the next several years. Over the past several months, we have been discussing the importance of determining the direction of DCRC, how we are meeting the needs of our members, and what membership efforts we need to undertake to specifically address reproduction issues for our constituencies. Thus far, we’ve conducted several one-on-one phone interviews and used them as a basis for the survey. Following the survey, several board members, committee members and past DCRC leaders will gather in Chicago in mid-May for a focus group session with a facilitator designed to assist us with strategies and tactics to write the strategic plan. Our goal is to have the plan written and presented at the annual fall conference in Indianapolis. Beyond filling out the survey, we encourage you to contact me (ronaldo.cerri@ubc.ca) or our staff (you can reach Den Gardner at den@dcrcouncil.org) if you have specific ideas and thoughts about DCRC. As members, you play a vital role in determining our direction. We encourage you to contact us with your comments. As we move forward in this process, we will keep you updated with our progress. Next month’s webinar features the numbers behind the 2017 DCRC Herd Repro Award winners. DCRC Vice President Glaucio Lopes Jr. analyzed the data submitted by last year’s winners and will present “Digging Deep into Records of DCRC Award Winners.” The webinar is scheduled for May 2, starting at 1 p.m. Central Time. To register for the May 2 webinar, go to: www.dcrcouncil.org/webinars and follow the prompts. As the webinar approaches, you will receive an e-mail with information on how to log in to participate. If you are a DCRC member and cannot attend the live program, you may access the webinar at dcrcouncil.org. In addition to sharing records analysis, Lopes will discuss the Herd Repro Award winners’ demographics and reproductive performance benchmarks. Furthermore, webinar participants will learn about new trends observed for reproductive management, the effect of health on reproductive performance and culling strategies, and options for extra heifers after dairies achieve excellent reproductive performance. To see what’s ahead on our webinar schedule, visit DCRC’s webinar page. This year’s schedule includes webinars presented in Spanish and Portuguese. DCRC webinars offer a great employee meeting opportunity, bringing topical expertise to your dairy without having to leave the farm. Through April 30, DCRC is accepting nominations for its 2018 Reproduction Awards program, which recognizes outstanding dairy operations for reproductive efficiency and well-implemented management procedures. Judges evaluate key metrics, including voluntary waiting period, interbreeding intervals, heat detection, conception rate, pregnancy rate, value of reproduction and culling rate. Reproduction numbers are based on the 12-month period Jan. 1, 2017-Dec. 31, 2017. Dairy operations must be nominated by professionals who serve the dairy industry, such as veterinarians, extension agents, AI and pharmaceutical company representatives, dairy processor field staff and consultants. For more information about the Reproduction Awards program or to nominate a herd online, visit www.dcrcouncil.org/awards/nominate-a-herd. One final reminder: The core meeting dates for this year’s DCRC Annual Meeting are Thursday and Friday, Nov. 15-16 (not Wednesday and Thursday – like last year). Plan to gather Wednesday evening (Nov. 14) for an informal reception and be ready to learn and network on Thursday and Friday at the Westin in Indianapolis. The authors investigated the effects of two pre-weaning management strategies (restricted milk replacer, twice daily bucket feeding, with individual penning for the first 21 days followed by group housing; or ad libitum access to milk replacer with group housing from birth) on growth and reproductive parameters of heifers from birth until attainment of first pregnancy. The results are published in the Public Library of Science (PLoS One) Journal. From 12 weeks of age onward, calves in both dietary groups received common nutritional and husbandry protocols. Pre-weaning growth rates were higher in Group A calves compared with Group R, with most differences observed during the first 3 weeks of life. Group A calves gained body condition score (BCS) throughout the pre-weaning phase; Group R calves lost BCS during the first 4 weeks of life. Data suggested Group R calves supported skeletal growth during this period by catabolizing body tissue. Group A calves had a greater risk of disease than group R calves during the pre-weaning phase, although no calves died during this period. There were no statistically significant group differences in any reproductive parameters, other than a tendency for Group A to achieve first service earlier than their Group R counterparts. In conclusion, pre-weaning management with group housing from birth with ad libitum intake increased growth at pre-weaning phase and tended to increase the age to first breeding but had higher incidence of pre-weaning diseases. Researchers investigated the effects of daily top dressing rumen-protected methionine (RPM) from 30 to 126 days postpartum on productive and reproductive performance in lactating dairy cows. The results are available in the Public Library of Sciences (PLoS One) Journal. Cows fed RPM increased milk protein percentage (3.08 vs. 3.00%), but no differences on milk yield and milk protein yield were detected. In multiparous cows, RPM feeding increased percentage of milk protein (3.03 vs. 2.95%) and fat (3.45 vs. 3.14%), but no effects were observed in primiparous cows. Multiparous cows fed RPM had lower pregnancy loss between days 28 to 61 (19.6 vs. 6.1%) or between days 32 to 61 (8.9 vs. 0%); however, there was no effect of treatment on pregnancy loss in primiparous cows. Consistent with pregnancy loss data, RPM feeding increased embryonic abdominal diameter and volume, and amniotic vesicle volume on day 33 of pregnancy in multiparous cows but had no effect on embryonic size in primiparous cows. Researchers concluded that feeding RPM was sufficient to increase milk protein percentage and improved embryonic size and pregnancy maintenance in multiparous cows. However, they suggested that further studies are necessary to confirm these responses and understand the biological mechanisms leading to these responses and the timing and concentrations of circulating met that are needed to produce this effect. Researchers investigated the changes in lying, feeding and social behavior in the days before diagnosis of metritis to describe how these behavioral changes relate to the day of diagnosis. The results are available in the Journal of Dairy Science. Behaviors at the feedbunk were recorded using an electronic feeding system and lying behaviors were recorded using data loggers. Researchers diagnosed metritis, based on vaginal discharge characteristics at days 3, 6, 9, 12 and 15 after calving. Cow behavior was monitored starting 2 weeks before calving until the day of diagnosis. Results were compared with healthy cows (never diagnosed with any health disorder, including ketosis, mastitis and lameness) during the transition period. 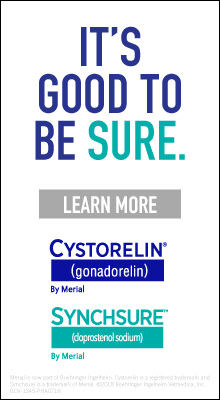 During the 2 weeks before calving, cows later diagnosed with metritis had decreased lying time and fewer lying bouts, compared with healthy cows. Three days before clinical diagnosis, cows later developing metritis ate less, consumed fewer meals, were replaced more often at the feedbunk and had fewer lying bouts of longer duration, compared with healthy cows. Researchers concluded that changes in feeding, as well as social and lying behavior, could contribute to identification of cows at risk of developing metritis. Reproduction success holds a strong correlation with financial success on today’s dairies. A recent Midwest study showed that the most profitable dairy herds have pregnancy rates averaging 26.6 percent. Dairy Cattle Reproduction Council (DCRC) realizes the importance of reproductive performance and the sustainability of dairy operations. Thus, DCRC honors dairies that achieve outstanding fertility. During the 2017 DCRC Annual Meeting, DCRC recognized 24 outstanding dairy operations as Bronze, Gold, Silver or Platinum winners. 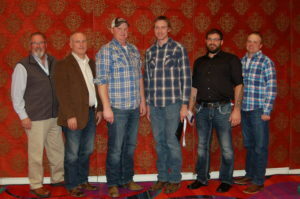 Left to right: Gary DeGraaf, Jer-Z-Boyz Ranch; Kurt Wierda, Plymouth Dairy; Brian Schilling, Schilling Dairy; Darrin Young, Emerald Spring Dairy; Jake Weisenbeck, Weisenbeck Farm; and Jeff McNeely, Rollin Green Dairy. The Platinum winners – Emerald Spring Dairy (Maurie and Darrin Young), Plainview, Minn.; Jer-Z-Boyz Dairy (Gary DeGraaf), Pixley, Calif.; Plymouth Dairy (Alan Feuerhelm), LeMars, Iowa; Rollin Green Dairy (Jim, Jeff and Jamie McNeely), Brooklyn, Wis.; Schilling Dairy (Schilling Family), Darlington, Wis.; and Weisenbeck Farm (Don, Sally, Hank and Jake Weisenbeck), Durand, Wis. – excel at reproductive efficiency, fertility and well-implemented management procedures. The Platinum herds were featured in the November 2017 Hoard’s Dairyman roundtable discussion. Click here to read the full article. Emerald Spring Dairy: In March 2016, we moved into a new cross-ventilated barn. This allowed us to reduce our stocking rate from more than 125 percent to 110 percent (on freestalls). We went from three rows (old barn) to two rows (new barn), so we improved bunk space and number of headlocks in our early lactation/breeding pens. All pens have feedline sprinklers. It was a significant investment, but after 18 months, we are very happy with how the cows have been performing. Jer-Z-Boyz Dairy: Our milk cows have been in self-lock stanchions, rubber mats, soakers and shade cloth for more than 25 years. We are considering soakers and additional shade cloth for heifer artificial insemination, especially after this past unusually hot summer in California. Plymouth Dairy: Over the years, we have added more fans in the milk cow pens and recently added more fans in the milking parlor. During March through November, we put emphasis on maintaining fans and sprinklers for heat abatement, along with power washing fans to keep them clean and moving the most air possible. We continue to look at ways to improve heat abatement in our dry cow facility but haven’t completely figured that out since they are housed in an open lot with a monoslope building located on top of a hill. Fans in the monoslope building compete with the natural breeze going through it. Rollin Green Dairy: We built our barn in 2011 and it has resulted in massive improvements in overall cow comfort, health and heat abatement. Production increased and health costs decreased. Sand bedding helps with traction for observing heats. Conception rates slip a few points in July and August, but not anywhere near as bad as in previous years. In the future, we are considering more fans over the feed alley and maybe sprinklers. For the heifers, we improved how we handle them by installing self-locks, instead of a chute. Our heifers have always been on a gravel lot. Schilling Dairy: We feel cow cooling is critical to maintain conception rates during the summer. Changes we have made to improve cow cooling include adding three rows of fans per pen (located over each row of freestalls) and installing feedline water sprinklers and additional water sprinklers in the holding area. In 2014, we added additional fans over the cross alleys. Also, we provide dry cow cooling with fans over the freestalls. We added shade cloth to the outside dry cow feeding area. This helps keep our dry cows cool. We feel that improved dry cow cooling has helped produce healthier follicles, which has led to higher first-service conception rates. Recently, we added a third well to help maintain water pressure demand for the sprinklers and waterers. We feel the exceptional cow comfort from sand bedding, with adequately sized freestalls, has been critical in minimizing lameness and allowing maximal heat expression. Weisenbeck Farm: Periodically, we groove floors to improve traction. Our automatic scraper runs every two hours and yields a nice, clean surface. 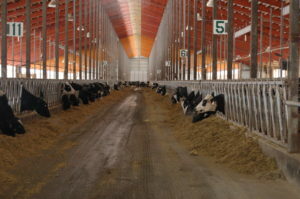 The naturally-vented freestall barn is equipped with fans and sprinklers, but the cross-ventilated barn is not. However, all cows get a good soaking in the holding area. Flies are nonexistent in this barn. Alex Souza works for Ceva Animal Health – a French animal health company with global presence. Ceva has offices in 45 countries and works across more than 110 countries. The company has 12 research and development centers, 25 production sites and more than 5,000 employees worldwide. 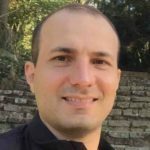 Souza graduated from veterinary school in 2002, followed by master’s and doctorate degrees, and a post-doc program with the University of Wisconsin and Sao Paulo State University. “My grandfather was a dairy producer and I’m very proud of that,” said Souza. While pursuing advanced academic degrees, Souza focused on factors affecting cattle fertility. “It is a fascinating area because of its complexity and multi-interactions with feed and the environment,” said Souza. Plus, he has some cross responsibilities with the corporate team on new drugs and cattle research. Souza likes DCRC because it validates and shares novel reproduction technologies that benefit dairy producers worldwide. “The DCRC website is very useful and has plenty of resources available,” said Souza. 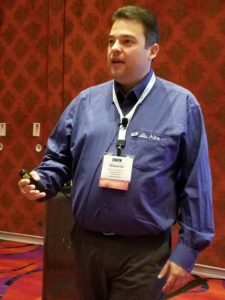 Despite his extensive knowledge of dairy cattle reproduction, Souza finds DCRC resources and attending the DCRC annual meeting excellent ways to build knowledge and expand his professional network. He said transition cow management and interactions between the environment and fertility are the two key topics he has learned more about due to his involvement in DCRC. From Souza’s perspective, employee management (particularly cowside), cow comfort and feed intake are the main challenges for improved dairy cattle reproduction. He admits that these challenges vary significantly from one country to another. The webinars feature top-rated topics from previous DCRC Annual Meetings, as well as other areas of reproductive importance. Like last year, DCRC will offer one webinar in Spanish and one in Portuguese. Each webinar begins at 1 p.m. Central Time. We look forward to you joining us! Glaucio Lopes Jr., Digging Deep into Records of DCRC Award Winners(Sponsored by Boehringer Ingelheim), May 2, 2018, 1 p.m. Central Time. Register here. Geoff Dahl, The Effects of Dry Period Heat Stress on the Lactating Dairy Cow (Sponsored by Boehringer Ingelheim), July 11, 2018, 1 p.m. Central Time. Register here.